This week as Halloween approaches, there is all sorts of scary stuff going around. 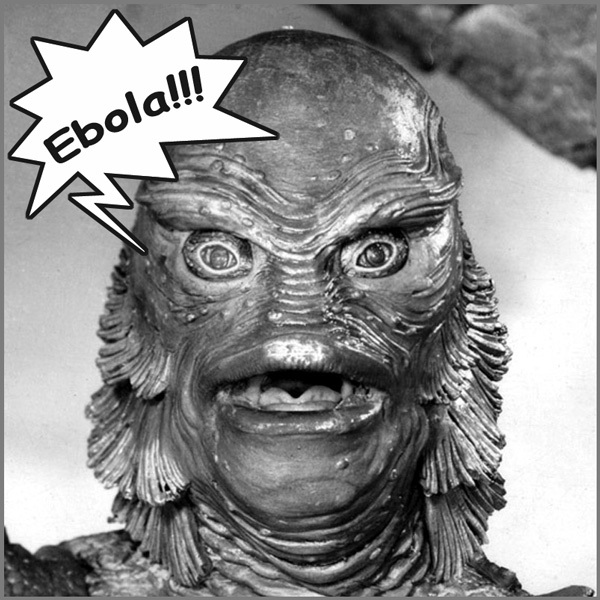 For starters, Ebola! Ebola! Ebola! There isn’t a front page newspaper story or a broadcast news segment that doesn’t involve Ebola. And with all that fear and news coverage comes this: African immigrants face ostracism. As of the date of this blog post, FOUR people in the United States have been diagnosed with Ebola: Eric Thomas Duncan; nurses Amber Vinson and Nina Pham; and most recently Dr. Craig Spencer. So far, only Mr. Duncan has succumbed to the disease; the two nurses who contracted the disease have been declared Ebola free. According to the Telegraph, the five most infectious diseases are: HIV/AIDS, malaria, tuberculosis, infectious diarrhea, and respiratory infections (such as pneumonia, flu, and respiratory syncytial virus). Ebola is not in the top five. Experts like Dr. Mark Rupp, an infectious disease specialist at the Nebraska Medical Center in Omaha, which treated Ebola-infected cameraman Ashoka Mukpo, urged the public to resist irrational fear of Ebola, which is spread through contact with body fluids of someone who is showing symptoms. This has not stopped some folks from spewing complete nonsense. Like the lady saying that Liberians brought Ebola into the country. Or this Congressman who suggests that Ebola may be coming in through the U.S.-Mexico border. If you’re going to be coming to visit my Pasadena office to discuss immigration, my wife’s TV shows, or UCLA’s busted dreams of a college football championship, be sure to buckle your seat belt, look out for sharks, and wash your hands frequently. It is flu season, after all.